Reaction Time is a free and addicting puzzle game by Tal Fishman, a YouTuber with over 3 billion channel views and 12 million subscribers. 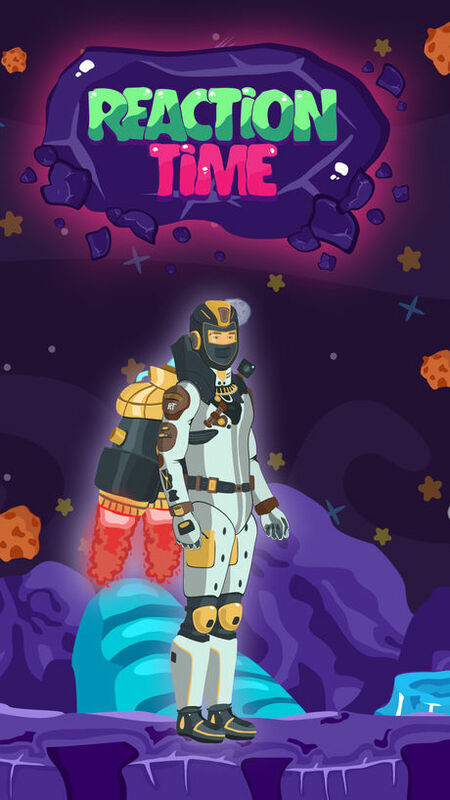 Go on a fast-paced and rewarding adventure through the solar system in a stolen rocket ship to earn power-ups as you build hand-eye coordination and mental acuity. Tap and drag the matching colored stars to clear the board and get the equipment and upgrades you need to reach the outer edges of space – but watch out, new stars are appearing constantly, so it’s a race against the clock! 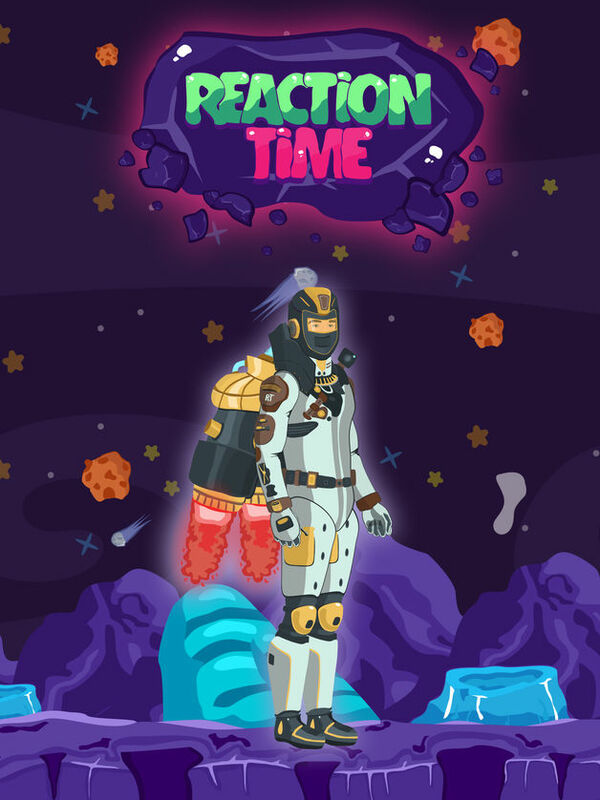 Reaction Time is an adventure through the solar system and a thrilling race against the clock. Inspired by and created alongside the minds behind the popular YouTube channel, Reaction Time brings the same fast-paced, high-energy experience you’ve seen in their videos to your mobile device. As Mr. Fishman, a professional satellite cleaner fed-up with the monotony of his job, you commandeer a spaceship and set out on a grand adventure to the outer edges of our solar system and into the unknown. As you journey from the inner planets and toward the limits of the solar system, you’ll need to make upgrades to your ship and equipment by mastering six different beat-the-clock challenges on each planet. 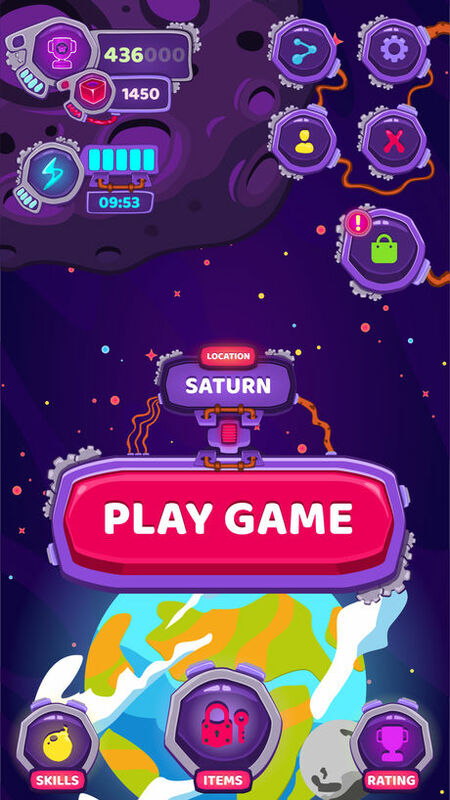 Once you’ve mastered the challenges of our solar system, you gain access to the entire Reaction Time Universe, a super-secret playground of additional levels filled with new challenges and out-of-this-world rewards! Earning the upgrades you need to continue requires matching shapes of the same color. Click and hold one shape, then drop it onto another of the same color to make them both disappear. Continue eliminating shapes of matching colors until the timer at the top of the screen runs out. Once you’ve beaten the clock, the two halves of the upgrade you need will appear on the screen. Match those to move onto the next level! It’s not as simple as it sounds, though! New shapes are constantly appearing all over the board, and if the board fills before the timer expires, you’re out of luck and it’s Game Over. Your journey across the solar system will be long and difficult, but there are three different in-game power-ups to give you the edge you need to succeed! Power-ups will appear on the grid for you to match, or they can be purchased through the in-app store.